Hey guys! I totally meant to post this last week, but I ended up getting pretty busy and didn't have a chance to finish it. Still, I wanted to take some time to tell you guys about the writing retreat I went on with my cousin, Cassidy (cassidy_writer) as well as update you on how my fiction WIP, Awaken, is coming along since I haven't done much of an update in a while! 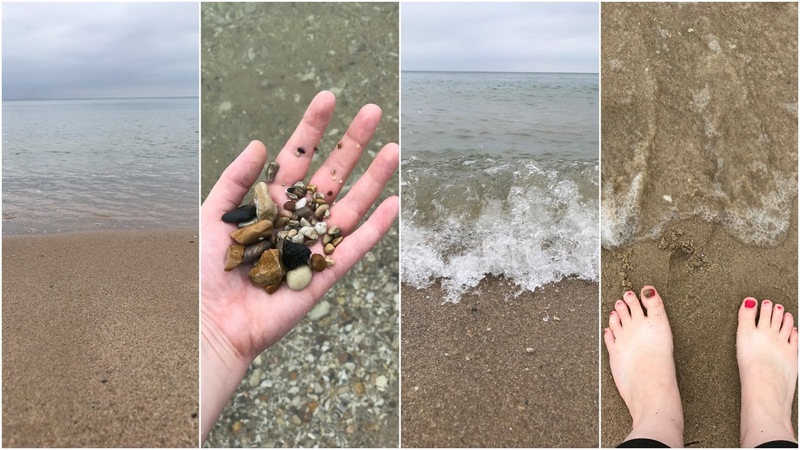 A little over a week ago, Cassidy and I headed to Mackinac (Mak-in-aw) City to spend a long weekend writing on the water. 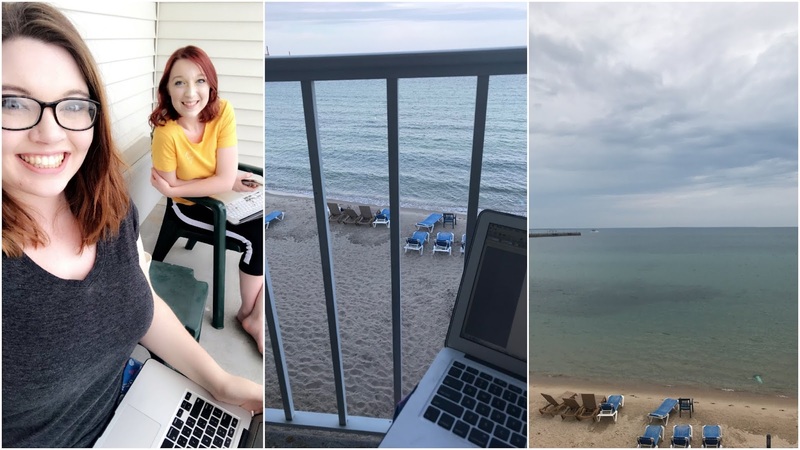 Our hotel room had a gorgeous view of Lake Huron, so we quickly made the balcony our writing spot. As soon as we checked in, we ordered a pizza and got to work. We'd been planning this trip for a while, so we knew we wanted it to be a writing-focused trip. #1. I'm seriously struggling with word count. The first draft was only 37k. The first draft of my first ever project, Unperfected, was over 113k! #2. I'm a lot busier with life now than I was when I was drafting Unperfected. #3. I've been stuck in the same chapter for months with no idea how to write my way out of it. But, I wanted to get a lot done on it this trip. Heading up north to the water is usually very head-clearing for me, so I was determined to make myself focus and get things done. So, I set my word count goal high at 10k. The first night after setting a timer for an hour, I was surprised to see that I had written a little over 1300 words! And not only that, but I had finally gotten through the tough chapter that had been annoying me for so long. Cassidy had written a similar amount in her own book, so of course we decided to reward ourselves by walking down into town for ice cream. Because what better way than to reward success with ice cream? The next morning we got up, got a quick breakfast downstairs, and then set another hour-long timer. With the tough chapter out of the way, I finally got to move on and write a chapter that I've been dying to write. The words flowed so easily with that one, and I ended up finishing it before our timer even went off. And since I knew the next chapter was going to be a difficult one, we headed down to the beach for a break. It was pretty cloudy and there was basically no one there, so it was really relaxing! After a quick swim in the pool and some lunch, we headed back onto the balcony and set a timer for 3 hours. However, as Cassidy got into a groove, I fell into a rut. The chapter was difficult and I did not want to write it. At all. At that point, reaching 10k felt pretty impossible and I mentally decided if I could just get between 6 and 8k, I would be happy. We headed down to the beach again, this time with our laptops, and wrote until it started raining. Something about that seemed to jumpstart my brain, and I was thankfully able to get through the annoying chapter. We headed for an early dinner around 4 o'clock, and then it was back to writing. As evening fell, Cassidy checked her word count and realized she was super close to 10k. I was a little discouraged at that point, and decided to check my word count, too. And to my surprise, I was at 8,800--waaaaay more words than I thought I would get. And since we weren't leaving until the next day, I was suddenly very determined to push myself to write that last 1200 words. Then things got a little scary. See, Awaken is completely written, it's just short, so I've been going back and adding more words/chapters to lengthen it to a standard novel word length. In order to only count the new words I wrote that weekend and not words I had written previously, after I wrote something new I would copy and paste it into a blank word document. This was working fine--until I went to check my total word count of Awaken. I had started the trip with a little over 42k. After adding 8800 words, I knew I should have been above 50k. But when I checked it, I was only at 46k. So where were all my words?! After going through my document, I quickly discovered that chapter fourteen ended halfway through and then suddenly jumped to chapter seventeen. SEVENTEEN. THAT'S A LOT OF MISSING CHAPTERS. I, of course, completely panicked, thinking that all these new words I had written over the past 24 hours were completely gone. BUT I soon realized that instead of copying and pasting my new words into a blank document, I had been cutting and pasting. Everything I had written. Was cut and pasted. Into a blank. UNSAVED. word document. Thankfully, every word was still there and I was able to put it all back and save everything a thousand times. But had I not realized, I probably would have closed the unsaved word document without saving because I would have assumed that they were just copies. SCARY. Around 10 at night there was a pretty awesome firework show right outside our door over the lake, so we called it quits about then. Cassidy had reached her goal, and I was so close to reaching mine! The next morning we slept in a bit, got up, got ready, and checked out of the hotel. We took our laptops down to the beach, sat in the burning sun, and basically burned to death as I furiously typed the last words I needed to reach my goal. I really have no idea what I wrote, or if it's any good, but I did it! 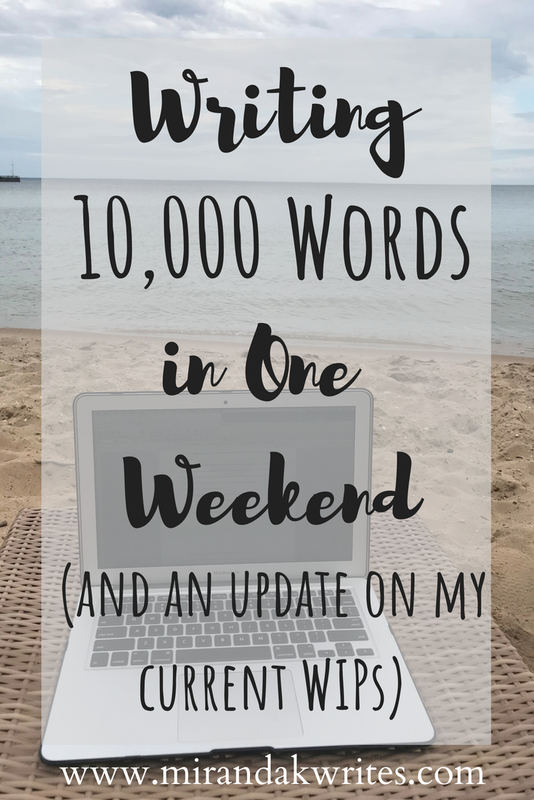 My final word count for our writing trip was 10,127 words in just about 36 hours! Awaken is currently just over 53k right now, and I finally feel like I have the energy to write it again! I have some new chapter ideas to lengthen the story even more, and I'm super excited to see where it ends up. Amelia and Sebastian's story is so near and dear to my heart and the more I write it the more I love it. As far as my poetry book goes, things are right on schedule! I just finalized the full cover and am waiting on another proof to arrive. I plan on doing one last read-through to make sure everything is in the order I want it to be, and then Breaking into Butterflies will be ready for release day! Stay tuned for the final cover reveal within the next week or so! 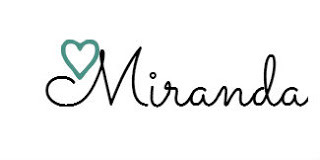 If you haven't yet, please take a minute to connect with me on my social media sites! You can check out my Facebook page here, my Twitter here, and the rest of my social media platforms up under the "Contact" tab. I hope you all have a lovely rest of your Tuesday! The OFFICIAL Cover for Breaking into Butterflies! The First Book You've Ever Read Challenge!